As many of you know, Weird Al Yankovic is my pretend goofy wordsmith boyfriend. So please join me in tuning in for Weird Al Yankovic Live! 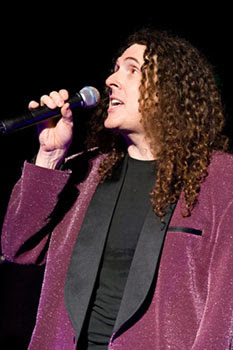 The Alpocalypse Tour, which marks Yankovic's first televised concert special in more than a decade. Let's gather 'round our televisions and marvel at Yankovic's mastery over such a wide range of musical genres.